Submit your work via YouTube - You can use your Bath Spa account to submit moving image work whilst still making sure your work is not available on the public YouTube site. To do this you need to go to google.co.uk and sign in to your Bath Spa account, this is the same account as you use to pick up your email. Once you are signed in go to youtube.com and you should see a brown bar across the top of the screen confirming that you are using a YouTube account managed by bathspa.ac.uk, use the upload button to the right of the screen to add your video file. 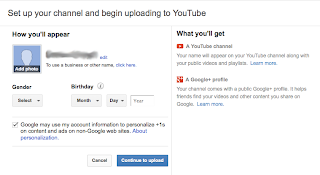 If you have not used your Bath Spa YouTube account you will be prompted to create a profile, you can edit the privacy settings for your account. Once you have selected the video and clicked to upload it you need to change the visibility of the video to unlisted using the drop down menu. If your video is more than 15 minutes you will need to increase your limits for your account. Unlisted means that only people who know the link to the video can view it (such as tutors or examiners who will have the link). An unlisted video will not appear in any of YouTube's public spaces (such as search results, your channel or the Browse page). You must send your tutor the link for the video so that they can review the work. 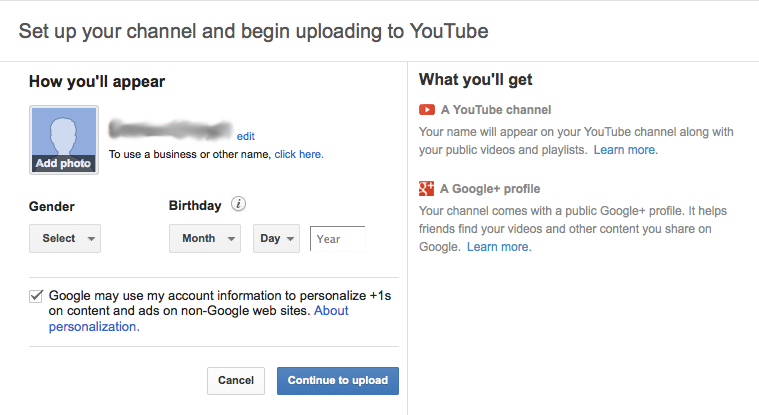 The link will be displayed to the right of a box confirming successful upload of the video. You can copy the link by right clicking on it, or hold the 'CTRL' key (bottom left corner of the keyboard) down and click on the link. A menu will appear and you can 'copy link address' and paste this in an email to your tutor and module coordinator.